Ever since early American farmers on the prairie started setting up barbed wire fences to protect their property from roaming cattle and bison, animals have been uniquely affected by man-made barriers. While Donald Trump has made the construction of a 2,000-mile long wall along the nation’s southern border with Mexico a signature issue of his campaign, little attention has been placed on the consequences of such an impenetrable wall on wildlife. 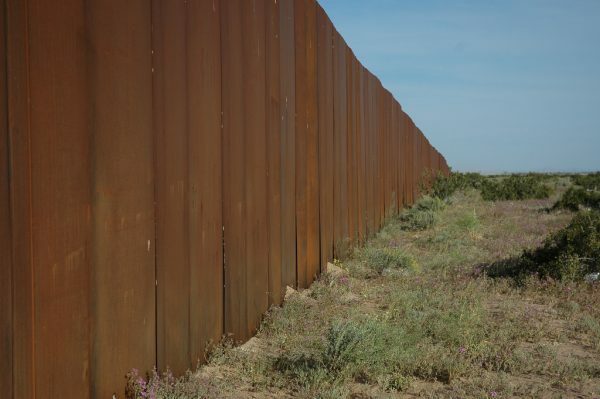 Animals of course do not understand borders, and in places where walls and fences have been erected, they have had documented negative effects on wildlife, according to the Washington Post, which compiled several studies on the subject. In Botswana in 1996, the government built an 83-mile fence along its border with Namibia. Within a year it had ensnared a whole host of wild animals. The 650 miles of barbed-wire fencing and wall along the US-Mexico border currently has already affected bison who’ve been spotted climbing over barbed-wire in order to reach food and water, and in 2011, a study by researchers at University of Texas found that 16 species were threatened by the border fence. Another study published in October 2016 looked at fences and walls along international borders, which have been proliferating on a global scale, and found that large carnivores and large herbivores are especially affected. They have the potential to fragment populations, cause direct mortality and injury through entanglements, the study found. If Trump wins the presidency and does put into action his plan to construct a massive border wall, you can be assured he’ll be hearing from animal conservation groups as much as human rights groups.